There are several techniques you can use to learn how to unblock chakras. Not only will your energy pathways be clear, but balance and harmony will be restored bringing you all the benefits of open free-flowing life force energy. A short repetition of a mantra is often used as the beginning and/or the ending of a yoga practice. Mantras are also practiced in various prayer ceremonies in monasteries and individual religious practices. The mantra sound vibrates in your chest, lower abdomen, or throat as a form of sound healing to set up a pattern of energy that can transform your energy fields back to healthy ones. What Can Sound Healing Be Used For? According to The Chopra Center, the repetition of a mantra usually has a specific number of times you need to repeat the mantra. Hold a mala (string of beads) in one hand so you can accurately count off the number of times you repeat the mantra. Select the mantra or series of mantras you wish to chant. Using a mantra during meditation can prevent you from becoming distracted by random thoughts. In Vedic tradition, practitioners use Bija mantras for chakra clearing and balancing. Each mantra is a single syllable that corresponds with a specific chakra. Elongate each syllable as you chant it and focus on the chakra you are clearing, feeling the mantra vibrate that chakra. You can also use vowel sounds for clearing chakra. Extend each vowel sound so it becomes a chant. Select a quiet place where you won't be interrupted. Choose a place that is warm since your body rhythms will slow down and your temperature could lower. Sit on a floor pillow or meditation pillow with your legs crossed. Take three deep breaths to relax. Close your eyes and silently state your intent for the meditation, such as clearing your throat chakra or balancing all of your chakras. Position your hands on your thighs or hold them in front of you in a tented prayer posture. If using prayer beads, hold them in one hand and count out each bead with each mantra repetition. Repeat mantras in sets of nine. Breath naturally but pay close attention to your breath. Focus on the chant and visualize the chakra for the mantra you are repeating. Finish your meditation with one repetition of Om or some other favored chant. The tapping technique or Emotional Freedom Technique (EFT) is best explained by brother and sister, Nick and Jessica Ortner, the co-founders of the Tapping Solution Foundation. The premise is to use your fingertips in a repetitive tapping motion on specific meridian points. While tapping, you repeat affirmations as well as the acceptance of emotions tied to memories. These emotions can disrupt your chakras and its energy system throughout your body. One of the leading mind, body and spirit healers, Amy B Scher explains you can use tapping (EFT) to unblock chakras. Tap with the pads of the index finger and middle finger of your dominant hand. Tap on each chakra firmly but gently nine times (refer to the image of chakras above for the chakra points). Start at the crown chakra and proceed down the chakras all the way to the root, tapping each nine times. Combine tapping with the mantras above if you wish. Reiki Masters work with symbols and hand positions to channel Reiki energy. Having gone through the necessary training and receiving the attunements from their Reiki Master, the healer is able to channel Reiki to open blocked chakra centers and free up the energy flow. 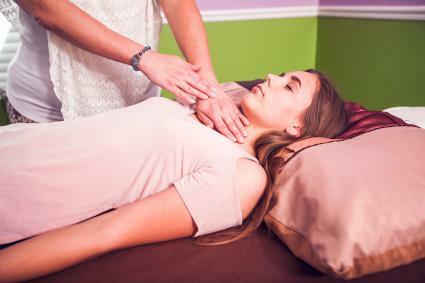 You can also take advantage of Reiki healing through distance Reiki healing techniques. 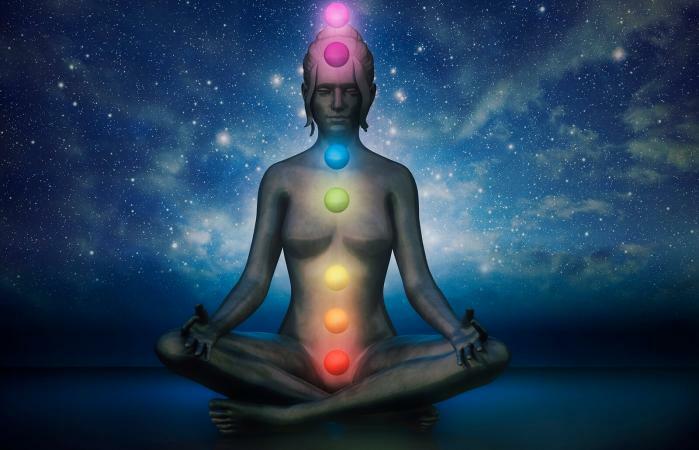 If you have been attuned to Reiki, channel the energy to your chakras by placing your hands over each energy center for three to five minutes. Alternatively, visit a Reiki practitioner and ask him or her to focus on chakra clearing. Reiki energy is like a blast of high energy that literally moves through the chakra blockage and clears it out. 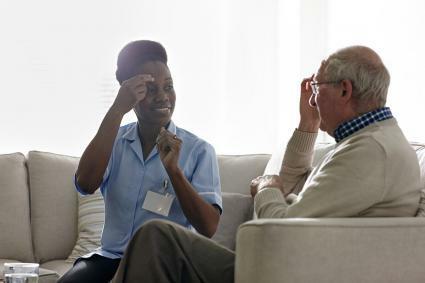 According to The International Center for Reiki Training, the introduction of Reiki, which is a positive energy field, charges the negative vibrations of the blockage and lifts them. Unable to maintain the negative level of vibration, this negative energy is broken up and dispersed. Yoga can open blocked chakras by manipulating the various body parts associated with the chakra through movements in yoga poses designed to stimulate these energy centers. For example, there are five chakras yoga poses you can practice that will release the correlating blocked energy center. A blocked chakra doesn't just stop spinning. It can also become inflamed just like the physical body. Instead of shutting down, the chakra may reverse its natural spinning momentum. None of these responses are healthy or desirable. Any of these conditions will impact you negatively since the chakras are the gateways for life energy to flow throughout your body. There are many techniques you can use to unblock chakras. Try a few to determine which technique works best for you and practice it regularly to keep your energy centers open and the energy flowing.